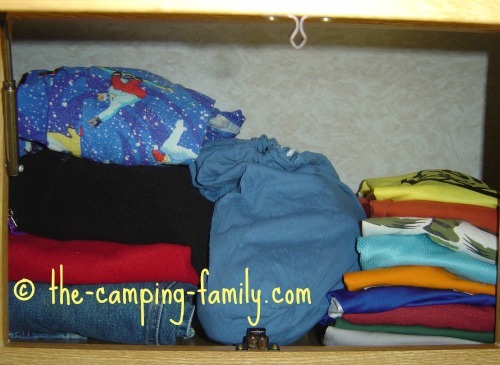 When you have a complete camping list, packing for your family camping trip is easy! If you've ever gone camping and realized that you've left the cutlery at home (I have! 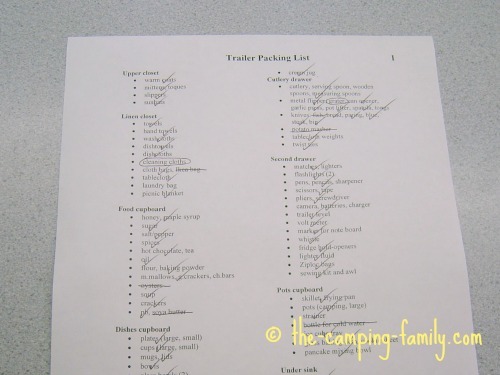 ), you know the importance of a good camping checklist. Checklists are handy for all sorts of other occasions, too. 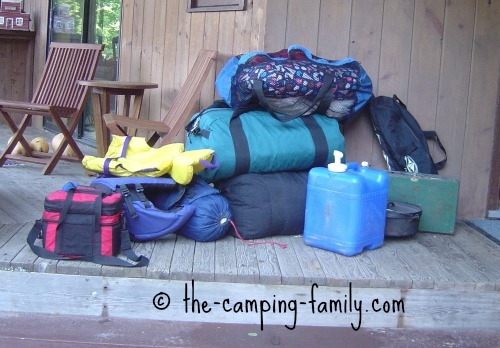 With a good camping pack list in hand, you'll find it easy to pack for a camping trip! Choose the list that matches your needs. Click on one of the little photos at the top of the page to see the appropriate list. You can choose to view it onscreen, or print it out. Tailor the list to your family's needs. Remove items that don't apply to you. Add any other items that come to mind. Keep the list handy while you pack. As soon as you have packed an item, cross it off the list. Be sure to bring the list with you on your trip. When you think of an item you wish you had brought (and this will happen on every single trip, no matter how many times you go camping), write it on the list. When you get home, add the new items to your master camping list. 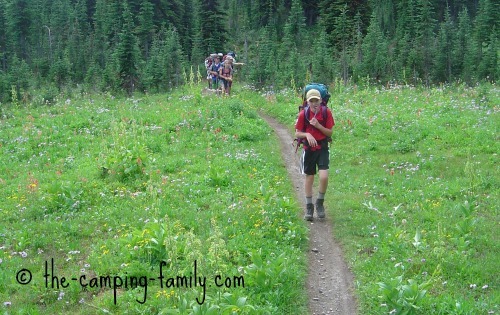 Soon you will have a perfectly complete camping checklist tailored for your family! A backpacking list is short, but vital. When you are on a hiking trip in the backcountry, you can't afford to forget anything! Click here for a good backpacking list. When you are car camping, you'll be able to take more gear - but you'll still have to pack carefully. Space in a vehicle is limited! Here's the tent packing checklist we use. The beauty of camping in a trailer, fifth wheel, pop up camper or motorhome is that you have to pack just once, at the beginning of the season! You can leave your RV packed with the essentials, and you'll be ready to go camping at a monent's notice! All you need to pack for each new trip is your food and your clothes. Of course, you'll need a good RV packing list to get your RV packed at the beginning of the season. Here's the one we use. 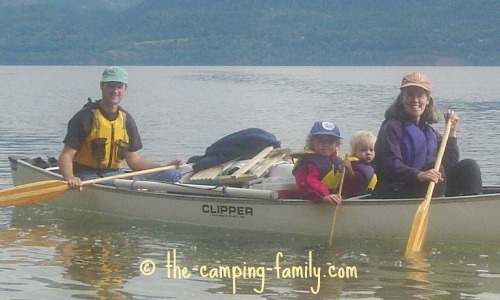 Canoe camping is perfect for families with small children. You'll need to pack carefully to fit everything in the canoe - and you won't want to forget a thing! It's not so easy to go back and pick things up when you are on the far side of a lake! Here's the canoe camping gear that we use. It's handy to have a beach packing list, whether you're making a day trip from home, or heading to the beach from your campsite. You don't want to get all the way there only to realize you've forgotten the sunscreen or the shovels. Here's a good beach packing list. Every camping family should have a well-stocked first aid kit. You can buy a pre-packed kit, or make your own using this list. Here are camping clothes lists for every member of the family. Of course, one of the most important parts of camping is eating! 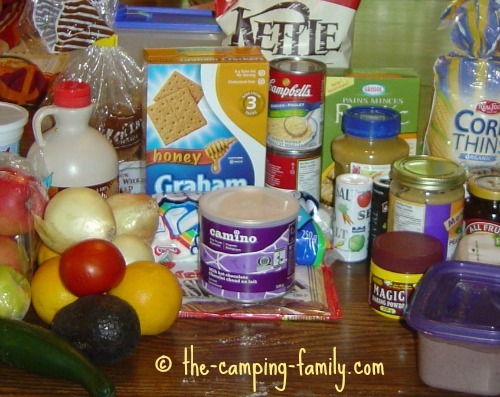 I start with a list of the camping food essentials that I take on every car camping trip, and I add to it once I have decided exactly what we are going to eat. Some people like to have a separate camp kitchen checklist. If you are camping with infants, you'll want a list of baby camping equipment. 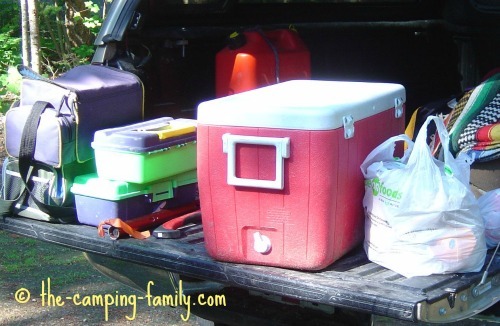 Having the right list makes the first part of your camping trip - planning a family camping trip and packing - an enjoyable part of the experience. It also sets the stage for a wonderful vacation, one where you have everything with you that you need. Now that you have the right camping list for your trip, go to The Camping Family home page for information about every aspect of your next trip.